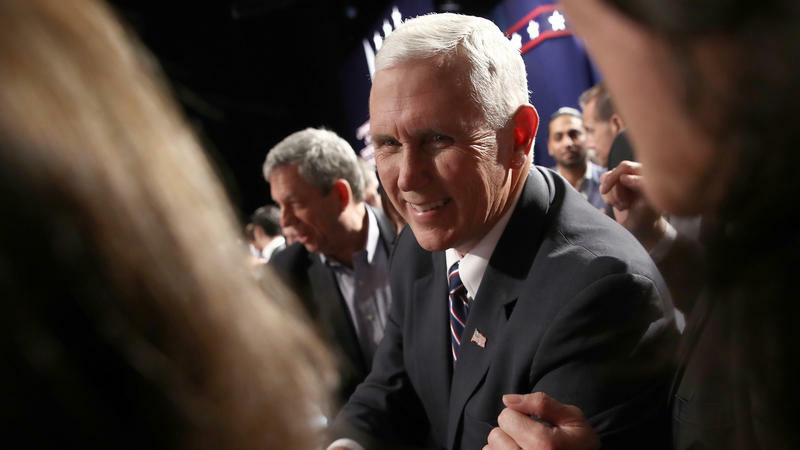 Vice President Mike Pence at a 2017 campaign fundraiser for Karen Handel. Pence has had to cancled two fundraisers for Brian Kemp due to strong storms. 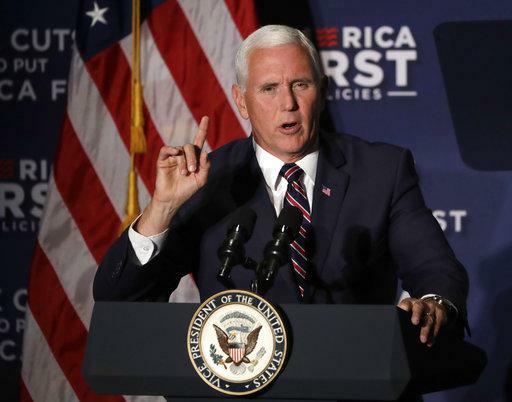 Vice President Mike Pence has canceled a planned trip to Atlanta to campaign for Republican gubernatorial candidate Brian Kemp. According to the VP's press secretary, Pence postponed his trip after being briefed on the impact of Hurricane Michael late Wednesday evening. This is the second time Pence was forced to cancel a trip to the state because of a hurricane. He was set to campaign for Kemp in September but rescheduled due to Hurricane Florence. Republicans in the state were hoping that a visit from the Vice President would continue to build upon the momentum gained from a visit by Donald Trump Jr. on Tuesday. NEWS: After the latest briefings from state officials on the impact of Hurricane Michael in Georgia, Vice President Pence has postponed his scheduled trip to Atlanta. The @VP will monitor the ongoing response to the hurricane in Washington tomorrow. This post was updated Oct. 1 at 10:19 a.m.
Last Monday, the first presidential debate was the most-watched debate ever. A little more than a week later, the Hillary Clinton's and Donald Trump's vice presidential picks will take the stage.